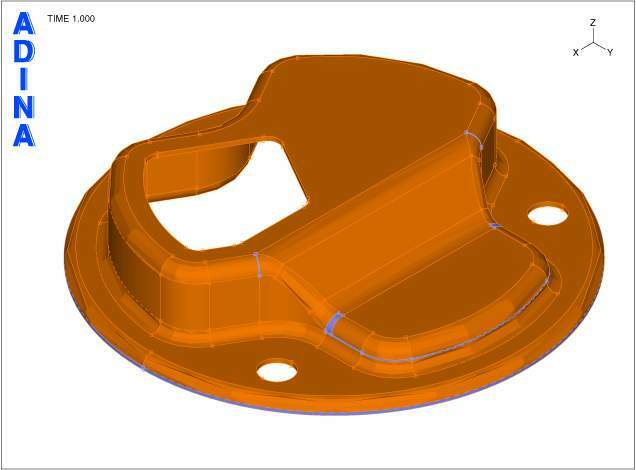 Geometry bodies often have faces with very small areas compared to the model dimensions. If left untouched, these undesirable body faces lead to the creation of poorly shaped surface triangles or quadrilaterals. In turn, these lead to the creation of poorly shaped three-dimensional elements. 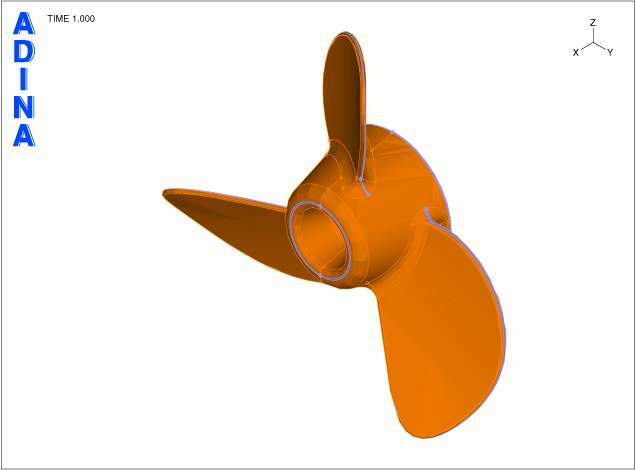 The BODY CLEANUP tool, which will be available in ADINA 8.3, can be used simply to remove body edges and faces with dimensions below a user-specified length. The user can also have more control by specifying a list of edges/faces not to be modified as well as a list of edges/faces to be removed. 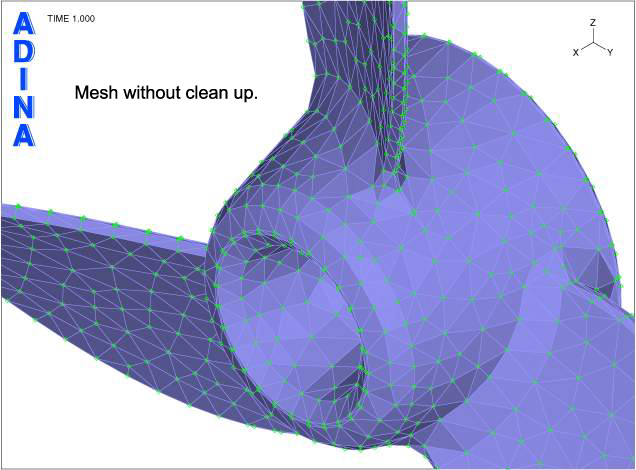 After using this tool to remove undesirable and unnecessary faces, any type of meshing (e.g., mapped meshing, triangular or quadrilateral face meshing, tetrahedral or mixed meshing) can be performed on the cleaned-up body. Below, we show two examples of the use of the BODY CLEANUP tool. In each example, the model is shown, and a detail of the mesh. 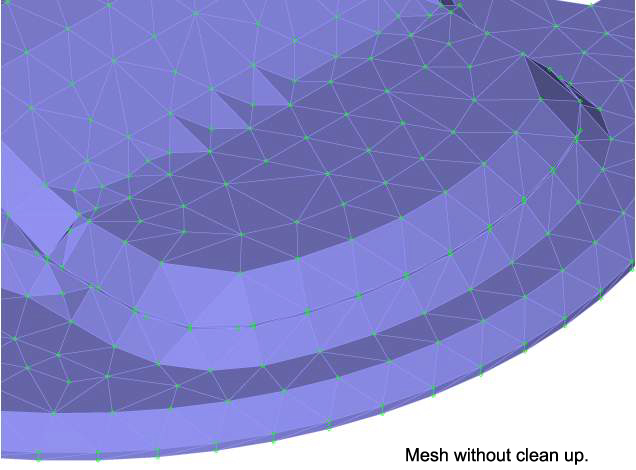 If you move your mouse onto one of the meshes that follow, you will see the mesh after the tool has been applied. Moving your mouse away from the mesh restores the image without clean up, so you can see the areas where the mesh has been improved. Body faces to be cleaned up are shown in blue.